I was given this recipe from a work friend and these cookies were delicious! Although I love most things chocolate so I suppose my bar isn't super high to begin with. I also really like ooey gooey cookies, so I baked these until they were JUST cooked enough internally. You can definitely bake these for longer if you want. Cook Time: 8-11 minutes or until edges are golden. 13-15 mins if you want a crispier cookie. Mix together the flour, baking soda, baking powder, and salt in a medium bowl. Set aside for now. 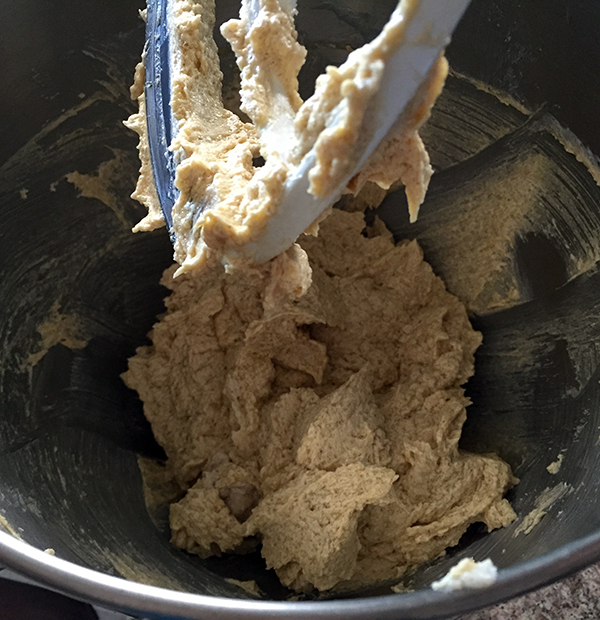 In another bowl cream together the butter, granulated sugar and brown sugar with a mixer. Then add add the eggs (one at a time) and vanilla. Remember to scrape the sides of the bowl as you go! Put the mixer on the lowest speed possible and slowly add in the dry ingredients we whisked together earlier. Be sure not to over mix the dough here. Add in the chocolate chips and gently mix them into the batter with a spatula. Next I grabbed a baking sheet, scooped and rolled the dough into individual cookie dough balls and placed onto the sheet. These are big ol' scoops, probably at least 3 tablespoons each. Wrap everything with saran wrap and stick it in the fridge for at least an hour. I let mine sit overnight. When you're ready to bake the cookies set the oven for 375 degrees. Take the cookies out of the fridge and pop them into the oven once it's ready. Bake for 9-12 minutes. When I saw how these cookies were melting I was super worried at first. They look so sad! Like dropped ice cream melting on the pavement. But they turned out alright! Phew! I let them bake for around 10 minutes; the sides had just started to turn brown when I took them out. Let them sit on the tray for 10 minutes then transfer them over to a rack to finish cooling. What's your favorite kind of cookie; crispy, soft, something else? Share in the comments!